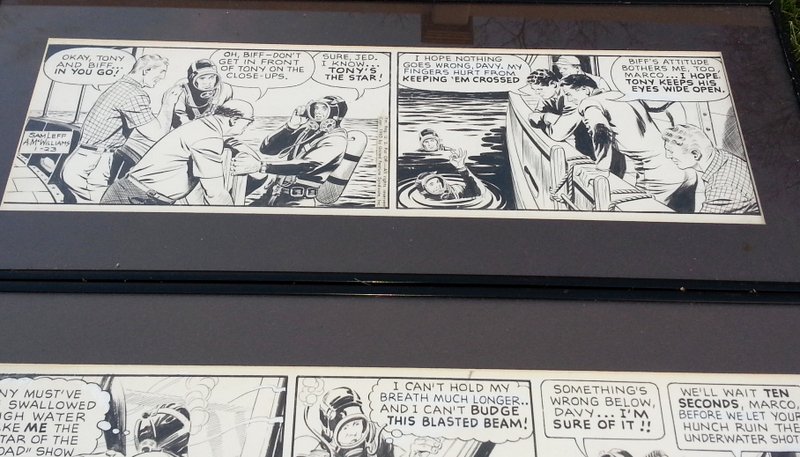 A tense underwater rescue is the subject of these FOUR daily, drawn with panache by Alden McWilliams with a story by Sam Leff. 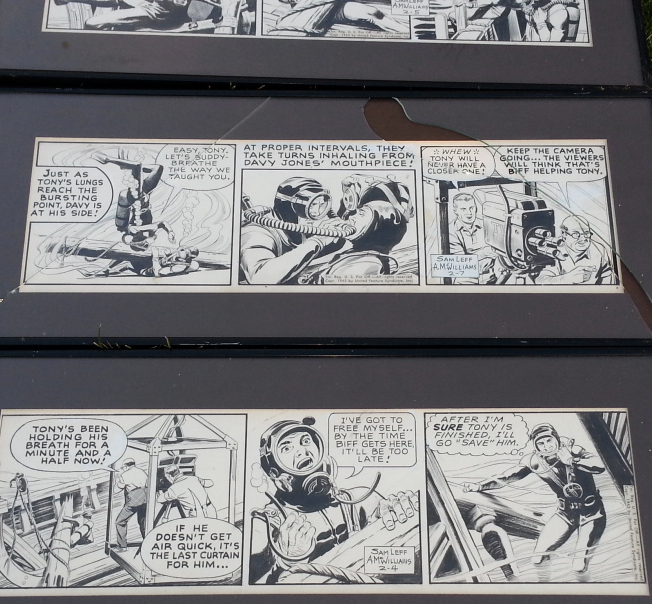 These three consecutive dailies from 1963 showcase McWilliams clean, crisp lines and deft storytelling. They are created in ink and Zipatone over graphite on Bristol board with an image area of 19.25″ x 5″. 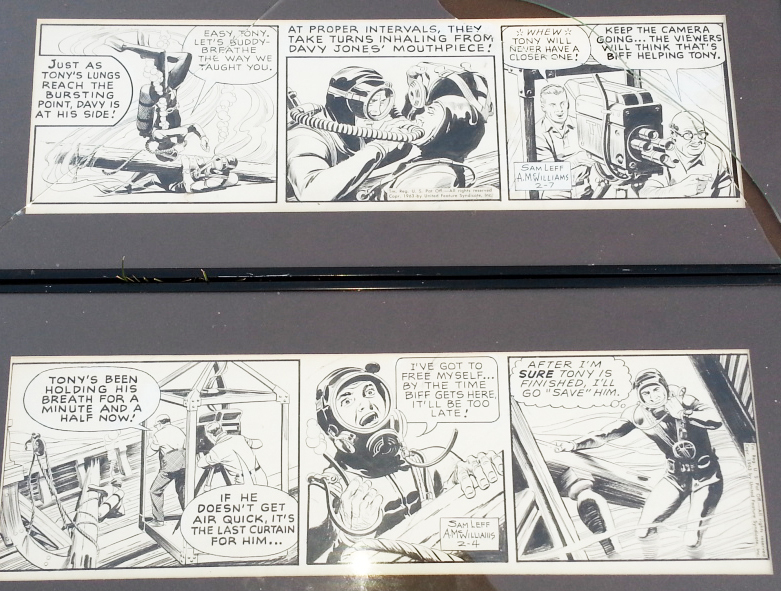 Each mounting is 9″ x 23 ¼” One of the plexiglass covers is broken but the comic strip is in Excellent condition as are the other three. 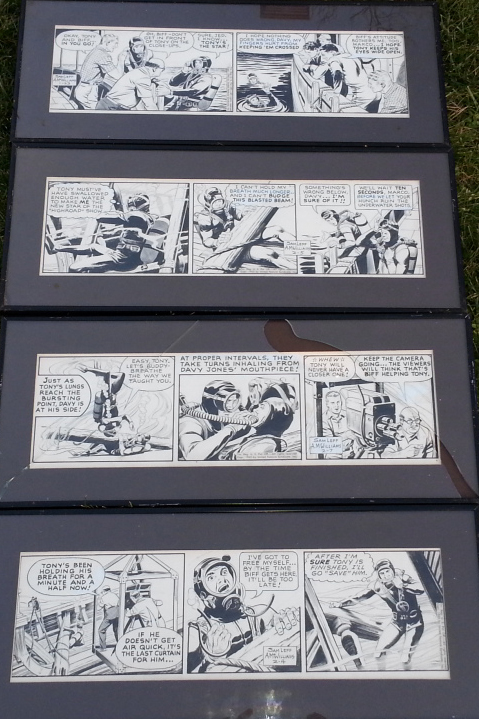 You can replace the plexiglass on the one or remount all four comic strips together. We leave that up to you.